Back at the end of March, I thought it would be really wise to go from running 3-4 miles per week to 13 miles in one week. In what should come as a surprise to no one, this turned out to be a spectacularly poor decision, and the week before the Shamrock Shuffle, I found myself shin splinted. I made it through the Shuffle (actually, made it quite well through the Shuffle), and then more or less called it quits on the running front for the rest of April. I believe I ran three times between the Shuffle and the start of May. Once May rolled around, however, I knew I needed to start building up my base if I were ever going to make it through marathon training. 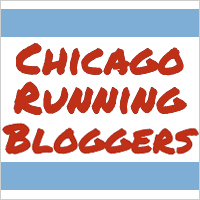 I’m training for the Chicago Marathon with CARA this summer, and CARA recommends that its marathon runners have run for at least a year, have a base of 18-20 weekly miles, and have run at least 6 miles before starting marathon training. While I had two of the three, I knew there was no way for me to safely get up to 18-20 weekly miles before the week of June 9, when training starts. Because I think “slightly underprepared and healthy” always trumps “definitely prepared but injured,” I opted to slowly (so, so slowly) ramp up my mileage over May and try to get as close to 18 miles as I could. 13 is not 18, of course, but I actually think I’m in the perfect position for where I need to be. I went to CARA’s Super Clinic last Saturday and it was fantastic, especially for a first time marathoner like myself. If you ever happen to find yourself in the position of running the Chicago Marathon and training with CARA, I highly recommend carving out a Saturday for the Super Clinic. There were multiple highlights of the clinic, first and foremost being the inspiration video they played right before Carey Pinkowski (the race director for the marathon) gave us a motivational talk. I wish I could show you all the video because it was absolutely stunning, but the marathon doesn’t have it on their website yet (though if you want to see the videos from 2011, 2010, and 2008, those can all be found here, and they’re pretty similar to what we watched). I may or may not have teared up during the video, but it’s totally okay you guys because Wendy Jaehn (the executive director of CARA) said she did too, so I promise I’m not just a total emotional wreck 😛 . The other highlight, however, was finally getting my training schedule. As the quintessential Type A runner that I am, I have been dying to know what my schedule looked like, and I am STOKED to finally have it in my hands! The first week of training has us running 15 miles, which is why I’m very happy with the 13 mile base I’ll have heading into “official” training. I think that’s the perfect increase from where I stand right now (or rather, where I will stand after Saturday), and I’m confident my legs and mind can handle it. As for the training program itself, I can tell you right now that I am not going to be following everything exactly as its been laid out for me. I think going into training with that knowledge and mindset will help me out a lot over the summer. Speakers during the Super Clinic even told us it wasn’t a big deal if we didn’t follow the plan to a “t.” Obviously I’m going to strive to follow the plan as closely as I can, but I’m putting it out there right now that I am NOT going to get totally bent out of shape if I miss a run. Please, please, PLEASE hold me accountable to this over the next 18 weeks! The training program calls for three straight days of running each week, which for me is impossible, both from a leg standpoint and from a life standpoint. I can’t run on Tuesdays because of other commitments, and I know my legs to not respond well to three straight days of pounding the pavement. I think to begin with I’m going to shoot for a Monday, Wednesday, Thursday, Saturday sort of running routine, but the Thursday runs might be kind of hit or miss. Running four days a week makes me nervous, so I might sub cross training in for a few of those Thursdays. We’ll see. At the clinic they told us the most important runs were our midweek longish runs (Wednesday) and our weekly long runs (Saturdays), so those will be my priority. As for other marathon training business, I will for sure be cross training once a week with dance. I have absolutely every intention of keeping up hip hop throughout the duration of marathon training. There will be two sessions of class at one of my studios over the course of training, and though I’ll take breakdance for the first session, I might drop it during the second for the sake of not risking too much injury. I also take breakdance at another studio on Saturdays, and I’m not quite sure what I’ll do with that. That breakdance class is a lot more cardio-heavy than strength-heavy like my other breakdance class, and I don’t think my body will be able to handle 16 mile runs followed by a one-hour HIIT breakdance class. I imagine I’ll keep going to that class while my long runs are in the single digits (with the exception of the last long run, which is 8 miles), but after that I’ll have to call it quits until the marathon is over. As far as other cross training goes, I imagine the elliptical, stat bike, and possibly yoga will make various appearances throughout the summer. Because what kind of runner would I be if I didn’t have goals for the marathon? This is, without question, the thing I care most about. More than running the whole race, more than finishing in a certain time, honestly, even more than hitting my fundraising goal for Team PAWS, I want to be in good enough shape on October 13 to line up with 45,000 of my closest crazy friends in Grant Park to run the marathon. As long as I achieve Goal #1, I’m confident this won’t be too much of a problem (though I do realize it may feel like a problem at times during the race 😉 ). Goal #3: Raise more than $500 for Team PAWS. $500 is the minimum I have to raise, and I’d very much like to exceed that. To that end, GIMME YO MONEY. Pretty please? It’s for the puppies and kitties, you guys! Have you no soul?! (Unofficial Goal #4: Finish in under five hours). Because I’m not going to lie to you or myself and be all, “Tra la la, I don’t have a time goal, I’m only there to finish!” Certainly finishing is my top priority, and I am going to work very hard at not worrying about this time goal that much. I don’t think I’ve ever entered a race without some sort of very vague time goal (finishing my first 5K in 30:00 or less, finishing my first 10K in 1:10 or less, finishing my first half marathon in 2:30:00 or less), and I do recognize that a 5:00:00 might be a little ambitious for me. I’ve been a lot faster over the past six months, however, and I do think I’m probably capable of training at 10:30 rather than 11:00/11:15s like I did for my half. That being said, we definitely have not hit the throes of summer yet, at which point all time bets are off. Similarly, only the Lord knows what the weather will be like on October 13 (though I have consistently filed my pleas for good weather on an almost daily basis since February 19, when I officially registered for the race), and I am very well aware that whatever that day ends up looking like will have a significant impact on my finishing time. June 2011 to August 2011: Asics Gel Kanbarra 2s — no injuries. Yes, these shoes were about four years old when I began running in them. August 2011: Brooks Ravenna 2s — developed back injury due to too much stability. September 2011 to December 2012: New Balance 890s v1 — mostly good, though developed shin splints for the first time in March 2012. January 2013: Mizuno Wave Rider 15s — aggravated Ravenna back pain. February 2013 – June 2013: Mizuno Wave Rider 16s — okay, but never felt right. Also developed shin splints, but that was my own stupid fault. June 2013: Asics Gel-Cumulus 15 — aggravated Ravenna back pain. With running shoes, as with dating (because MAN does that metaphor TOTALLY WORK), at some point you have to stop and ask yourself, “Am I actually the problem here?” Given my tempestuous shoe history, I’m starting to lean very much towards the side of well DUH it’s me! Because you guys. I know running shoes are particular, and I know I’m picky, but this is getting out of control. There are probably a lot of things contributing to my problems: the fact that I sit all day, the fact that I don’t warm up well, the fact that I’m completely paranoid about injury to the point where any unexpected twinge, no matter how brief, sends me into a downward panicky spiral. There could also possibly be actual physical issues going on here, maybe related to my scoliosis, maybe related to my probably-not-good running form, maybe related to strength imbalances I might have but not be aware of. I don’t really know what the underlying issue(s) is(are), but I do know that I’m extremely frustrated. I just want to be able to run, dang it, and I don’t see why that seems to be such a tall order. So we’ll see what happens with all of this. It might mean new shoes, a trip to a sports doctor, physical therapy, a serious mindset change, some sort of combination of all of the above. Whatever it takes, man. I’m tired of all this current nonsense. Overall, I feel really good about marathon training. Yeah, I have a lot of shoe/body drama, but in general I’m feeling pretty confident. I don’t expect the journey to always be easy, or fun, or enjoyable, but I do believe I can complete it, which is probably half the battle. SO EXCITED FOR YOU TO START MARATHON TRAINING! I kind of laughed at the last goal about the rough time. I feel like we all do that at one point or another. Even last week when I said I was going to run boston with no goal time in mind, let’s be real. I would have been upset if I had run way way way slower than my PR. I knew about 5 minutes slower was realistic so that’s what I went for. So yea. Staying healthy even though you’re slightly behind on mileage is no big deal. When I was in missouri visiting my friend last month, I met a guy that trained for a marathon and his longest run before that was 9 miles. Um what? Yea. so if he can do that, you can do anything. I think it’s really hard to be any sort of “serious” (i.e. : not just Color Run/Foam Run/Glow Run/other gimmicky 5K) runner and not care about time. I think most of us are inherently competitive, at least with ourselves–why else would we willingly put ourselves through so much physically just to better our times? I’m usually pretty good about not being *too* obsessed with the clock, though, so hopefully I can keep that up through this training cycle/race! Also, that’s ridiculous. I wouldn’t even feel prepared for a half on just a nine miler, never mind a full. Yikes. I think you’re smart to have a time goal in mind but to remember that anything can happen on race day. Obviously, the point of your training is to minimize the chances of random things like stomach upsets or excess fatigue but you just can’t prevent it all. I think that’s important to consider when signing up for such a long race (with long training). It’s not like a 5k where you can have an awful race, recover in a week or so, and then race again. For a marathon you’re going to train for a long time and then anything can happen during the race…. but hey, you’ll be a marathoner afterwards and in my opinion it’s totally worth it :). Also, now that you’re a CARA runner you could totally go to Novacare and have a running eval or an injury screen for muscle imbalances (I believe you get some discount or priority???). I’ve been going to one for my “hip sprain” and it’s been invaluable. I love it and I can feel my hips/glutes getting stronger. Just a thought! Indeed! I know I have some sort of NovaCare benefit — I actually talked to one of their PTs about all my back/shin woes at the Super Clinic, and she suggested if things keep up that I go to a sports doc and get a script to see a PT. And you’re definitely right! To be honest, I have NO idea if I’ll ever run a marathon again (that’s a decision I’ll be making AFTER the next 19 weeks! ), and since there are so many outside factors that influence performance, I think keeping the big picture in mind is totally key to enjoying the whole experience. Oh excellent! Then I’ll at least have time for fast food for my birthday dinner! Haha. Thank you! Hopefully it’ll all work out! I have to say, I’m jealous of your Type A plan! I am running my first marathon this year, too, and although I’m normally a Plan Person, I kind of threw it out the window because of various life things (moving to a new state and traveling for a month). So my first marathon is going to be kind of an experiment. Good luck with your shin splints! Mine went away with lots of ice (I’d beeline it to the freezer to make an ice pack after a run) and foam rolling. Hahaha I don’t think I could EVER get to a new distance without a plan. I’ve been a training plan lover since Day One of Couch to 5K two years ago, and while I can much more easily BS a shorter run now (i.e. : I’m definitely not following Couch to 5K for 5Ks I run anymore! ), I’m happy to take all the guidance I can get for new, scary distances. But then again, I also have just about nothing going on this summer other than marathon training (I’m not moving, for example! ), so I think that helps with following a plan. I’ll be following your posts on your training with Cara! Have you watched Spirit of the Marathon? Its free on Netflix and is about the Chicago Marathon back when it was the LaSalle Bank Marathon. I have not! I really want to, though. I actually don’t have Netflix (I know, I know. I’m like the one person who doesn’t. I just don’t watch nearly enough TV to need or want it! ), but I’m sure I’ll be able to find some other way to watch it. And yes, our training program is almost identical to Hal’s. There are a couple minor tweaks to fit things in with local races (Rock ‘n’ Roll and Zooma, for example), but it’s really close to Hal Higdon’s, at least for the novice program. I think your sub 5 goal is a good one! I usually give myself different levels of goals for big races–especially as they get longer because then I think more can go wrong! You just need to be open to the idea that the goal might change as marathon training progresses or as things come up during the race. Thanks! You’re completely right about longer race = more opportunity for things to go wrong, and I’m really hoping that I can be flexible no matter what the day brings.